In bocce, when it comes to small ball placement next to the target ball, called a pallina, student Fay Shaheen said you just “toss it” with the hopes it gets close enough to rack up points – “but you don’t want to add too much sauce” to the throw, she added. Bald Eagle Area School District is the first in Centre County to partner with the state Special Olympics organization to offer a unified PIAA-sponsored competitive sporting activity for students. Special Olympics PA and the Pennsylvania Interscholastic Athletic Association have implemented two unified sports in schools across the commonwealth: bocce and track & field. With that, two bocce teams have been created at BEA with high school students. 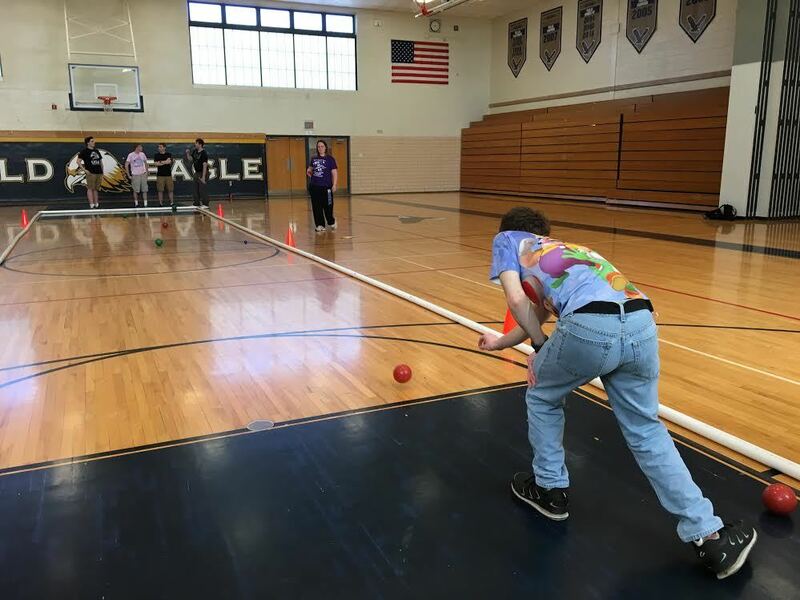 “Due to the size of our school, the student involvement that we already have and the timing, bocce was chosen as the more natural fit for BEA and for all of Central (Pennsylvania),” special education teacher Erica Milliron said. The program is in a six-week trial period before the season officially starts as a winter sport. They play two games against Moshannon Valley – once away, and once at home 3:30 p.m. May 23. Practices are held afterschool on most weekdays. Blue Team: Blaine Egan, Brooke Hall, Emily Gardner, Connor Roberts, Thomas Shaheen and Dylan Zink. Gold Team: Jordan Bonsell, Chelsea Butterworth, Zach Nancarvis, Fay Shaheen, Julia Thompson and Nick Zink. Calling it “an inclusive experience for everyone involved,” Milliron said having this team leads to friendships and relationships in schools that extend beyond typical social groups.